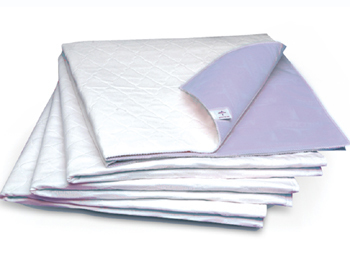 Unlike some other antimicrobial reusable bed pads, SILVERtouch is universally applicable and is practical for use in any laundering situation. There are no laundering restrictions, no need for special laundering additives, and no need for special drying conditions. And, the odor controlling properties will remain effective for the life of the product. Generally sold by the dozen, we are breaking the packaging and selling individually. 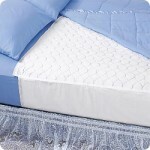 Bed pad dimensions: 32"" x 36""
The Quilted Plaid Bed Pads is made of a lively red, green and blue top cloth with a waterproof back. It is comfortable, machine washable, and measures 34” x 34”.